Who doesn't love the earthy feel of a terracotta pot? While they obviously act as wonderful planters – both indoors and out – these clay containers can also serve more multi-faceted purposes around the yard. 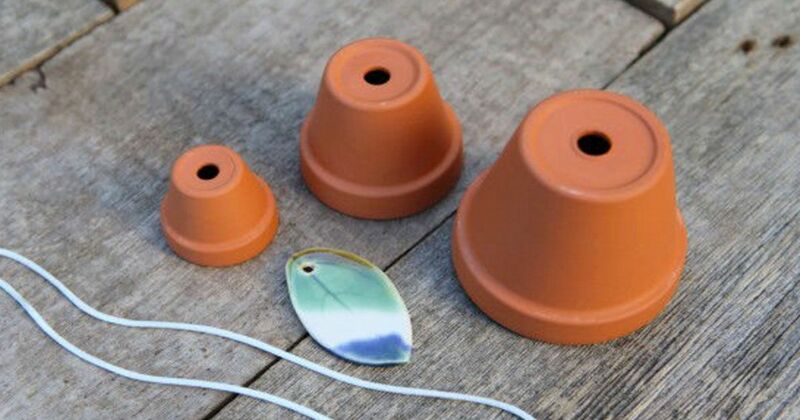 eBay contributor, garden_therapy, as well as blogger Stephanie Lynn of By Stephanie Lynn, prove this point perfectly with projects that transform terracotta pots into a lovely tinkling wind-chimes. garden_therapy opted to preserve a natural clay aesthetic, using unpainted terracotta pots, a nylon cord, beads, and a pretty leaf-shaped charm to "elevate" her DIY. However, Stephanie Lynn chose a more polished look, painting her pots in bright colors to achieve a rainbow design. 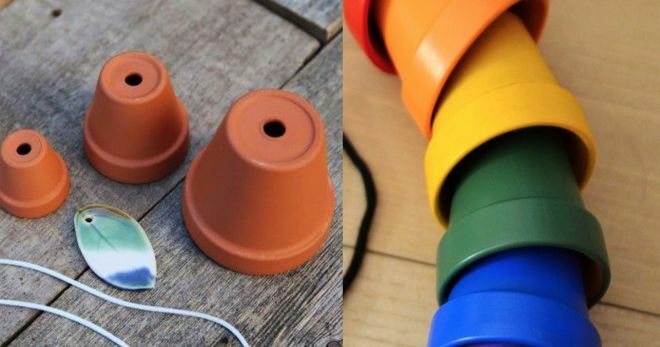 garden_therapy really makes her musical masterpiece by stringing beads along the cord inside the terracotta pots in order to "creates weight so that each of the pots will tap against each other creating a cacophony of sound." She also notes that the terracotta pots' varying sizes also create interesting contrasts in sound. Conversely, Stephanie Lynn used terracotta pots of all the same size to achieve a more uniform look, stacking up to 7 clay pots for a larger wind-chime. 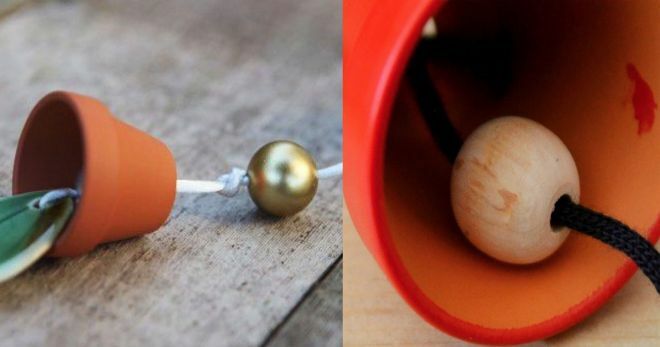 She also opted for wooden beads and a macrame cord. 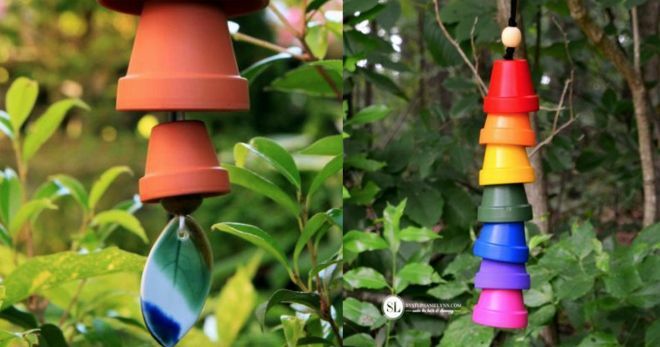 If you wanted to tackle this wind-chime in a completely different fashion, you could drill holes along the rim of your largest pot and string mini pots down through each hole along with whatever other trinkets you fancy. This creates a different dangling aesthetic – a pleasant contrast from stacking effect shown by garden_therapy and By Stephanie Lynn. How would you personalize your wind-chime? Tell us in the comments and make sure to share if you enjoyed this DIY as much as we did!